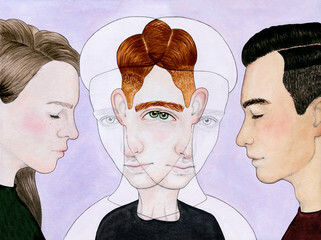 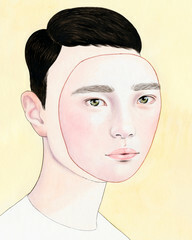 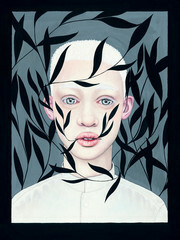 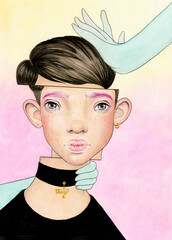 Hilde is an illustrator and painter, living and working in Amsterdam. 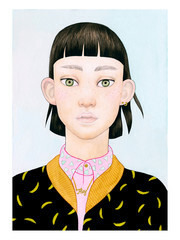 They love making portraits, and they enjoy working in different styles. 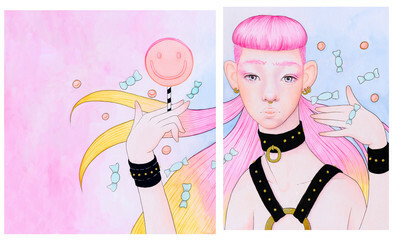 They mainly work with watercolour, gouache, and acrylic paint. 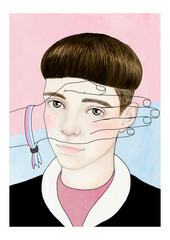 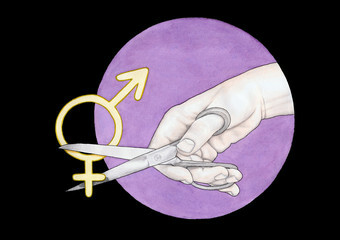 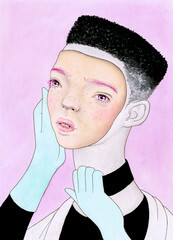 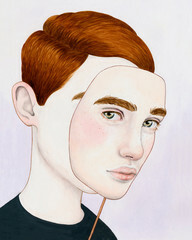 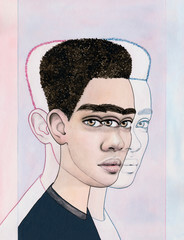 Hilde's work revolves around gender identity, sexuality and inclusivity. 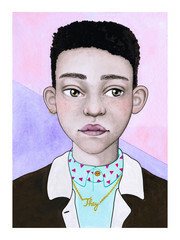 In their work they like to play with gender expression, many of the androgynous characters Hilde paints are based on female models and their appearance tends to have a softness and vulnerability in it.